Treasury Secretary Tim Geithner has warned of dire consequences if Congress fails to raise the debt ceiling in time. NEW YORK (CNNMoney) -- Underscoring the need for swift congressional action, the Treasury Department on Friday reiterated its Aug. 2 deadline for raising the debt ceiling. Treasury urged Congress "to avoid the catastrophic economic and market consequences of a default crisis by raising the statutory debt limit in a timely manner," according to a statement. It's unclear if lawmakers will succeed. Negotiations stalled last week when House Majority Leader Eric Cantor pulled out of bipartisan talks led by Vice President Joe Biden. Since then, Obama has met with Senate leaders and called on lawmakers "to do their job." Senate Majority Leader Harry Reid on Thursday canceled the chamber's scheduled recess next week to continue working on the debt ceiling. But it's not clear exactly what the Senate will be doing to move the ball forward. If Congress does nothing by Aug. 2, the consequences are expected to be costly. The government reached its legal borrowing limit on May 16 and has been taking "extraordinary measures" since to keep the country out of default. If the debt ceiling isn't raised, Treasury would not be able to pay nearly half of the 80 million payments it needs to make every month, according to an estimate this week by budget experts at the Bipartisan Policy Center. And Treasury Secretary Tim Geithner would have to choose which bills to pay and which ones to put off. 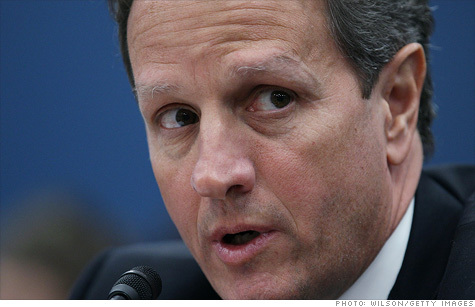 Prioritizing payments would be "deeply irresponsible," Geithner wrote in a letter this week to Senator Jim DeMint. Budget experts have said it would be a technical and legal mess. The expectation is that Geithner would choose to pay bond investors first so the country could avoid formal default. At the same time,he would have to indefinitely delay payments to anything from Social Security recipients to government contractors to federal worker and military service members. And even if bond investors continue to get paid at the expense of others, that's no guarantee the market reaction would be benign.